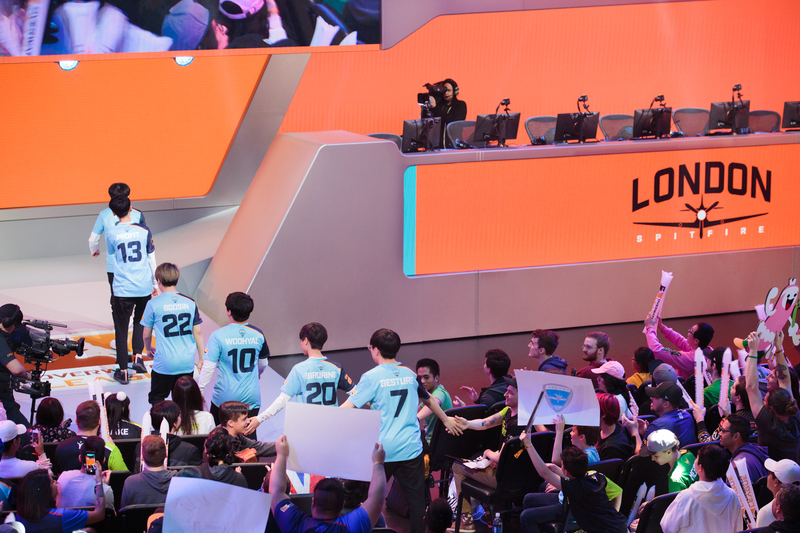 The Overwatch League’s postseason map pool has been locked in after a lottery to determine which maps would be played. Eight maps were chosen from in a lottery system—Hanamura, Volskaya Industries, Lijiang Tower, Oasis, Dorado, Junkertown, Eichenwalde, and King’s Row. Nepal will serve as the playoff’s tiebreaker control map. Overwatch League host Chris Puckett plucked the maps from a lottery ball machine in a “Watchpoint: Map Selection Edition” posted to YouTube on June 19. New York Excelsior, naturally, is primed for a good run based on these maps, which shouldn’t be surprising to anyone who’s followed the league. They’ve got a considerable lead over all other teams. Map win percentages across Los Angeles Valiant, Los Angeles Gladiators, Boston Uprising, and London Spitfire don’t vary too much. The map pool looks bad for Philadelphia Fusion, though—the team has a particularly bad win rating on King’s Row and Volskaya Industries. But that’s the luck of the draw, and the only thing teams can do now is practice in the weeks ahead of the playoff start. The Overwatch League playoffs start on July 11 and run through July 21. The six participating teams have been assigned seeds based on their regular season records. Each series is a best-of-three match, with each match a best-of-five maps. The first team to two wins takes the series. Philadelphia Fusion starts things off against Boston Uprising, while London Spitfire is up against Los Angeles Gladiators. Los Angeles Valiant and New York Excelsior both earned first-round byes, which means they’ll start playing in the semifinals. The grand finals event will be held on July 27 and 28 at the Barclays Center in Brooklyn, New York.